Seymour Bernstein. Photo: Jiyang Chen. It may have an unassuming title, but Seymour: An Introduction, the new documentary directed by Ethan Hawke, is anything but humdrum. Hawke, the gifted Oscar-nominated actor (Training Day; Boyhood) and screenwriter (Before Sunset; Before Midnight), who has also enjoyed a career as a director and novelist, takes his first steps into the documentary arena with his 81-minute “introduction” to New York-based pianist, composer and beloved piano teacher Seymour Bernstein. The film, a hit on the 2014 festival circuit, premieres theatrically in New York City on March 13, 2015, with a national roll-out the following week and throughout the next month. “I never set out to make a documentary,” says Hawke. “I met Seymour Bernstein at a dinner party and found myself completely hypnotized.” While Hawke’s freshman venture as a documentary filmmaker may have been tentative at first, his kinship with eccentric and nonconformist characters and his respect for Bernstein as a friend, musician and a mentor permeate Seymour: An Introduction and turn it into one of the first must-see documentaries of the new year. Seymour Bernstein and Ethan Hawke explore the meaning of creativity, music and mentorship in SEYMOUR: AN INTRODUCTION. Photo courtesy Robin Holland. A Sundance Selects release. 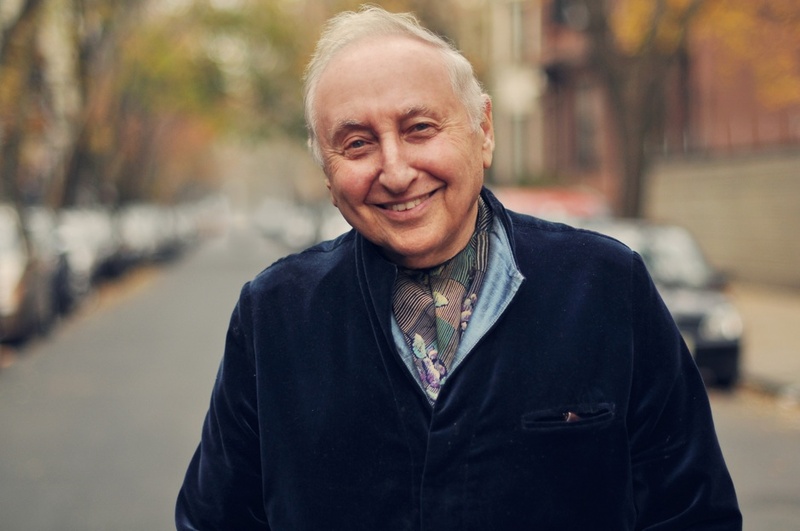 It’s hard not to fall in love with a man who, at 87, continues to retain the same passion for music and his craft that drove him, as a six-year-old, to his family’s hand-me-down upright piano. He recalls an almost mystical connection to Schubert at an early age and went on to study with a string of notable instructors, including Nadia Boulanger. At 15, he began assisting his teacher at the time, Clara Husserl, by supervising some of her other gifted pupils; and he soon taught pupils of his own, some of whom quite extraordinarily remained with him for years to come. Building a name for himself within the classical music industry via an international concert career at a young age, he went on to amass numerous grants and prestigious awards. He published several books and an impressive body of work as a prolific composer. But the Seymour Bernstein who intrigued Ethan Hawke and who will inspire and exhilarate general audiences is much more than the sum of these career highlights or a collection of scrapbooks filled with clippings and rave reviews. While he draws the curtain on Seymour Bernstein’s personal life for the most part, Hawke focuses instead on Bernstein’s philosophy and how it colors his music, his teaching and life itself. I believe there is a sentiment that holds (and I’m paraphrasing here!) that a teacher appears in our lives when we least expect it… and most need one. That premise could easily be the subplot of this film. Bernstein, even at his advanced age and maybe because of it, continues to flourish as the teacher who we all, even the tone-deaf amongst us, would benefit from having in our lives. There are lessons to be learned from Mr. Bernstein, for sure. 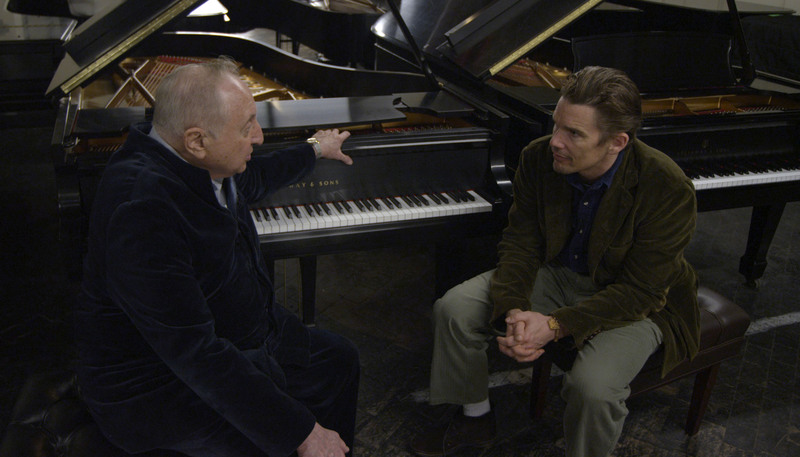 Seymour Bernstein shares a wealth of knowledge about music and life with filmmaker Ethan Hawke. Photo courtesy Ramsey Fendall. © Risk Love LLC. A Sundance Selects release. Despite piano lessons that last far longer than standard hour-long sessions, it is immediately apparent why Bernstein’s piano students study with him for years and graciously appear on camera during and after their lessons to share their experience of working with their mentor. “My greatest pleasure is to help my pupils feel good about themselves,” says Bernstein. His gentle manner and facility with the classics and the human back stories that inspired them infuse this film. His enthusiasm and lifelong refuge in music is touching and seems as fresh and honest as if he’s still that six-year-old child discovering Schubert for the first time. 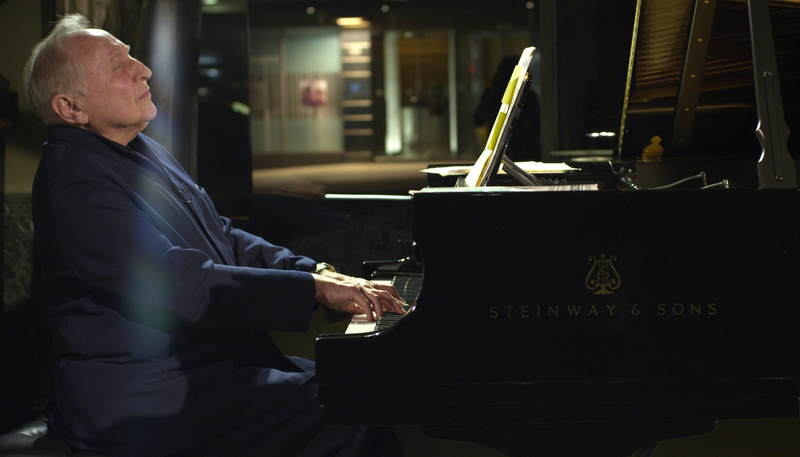 And his ageless “ear” for top-notch pianos is still on point as we watch him run through a row of inferior rental pianos in Steinway’s basement until he finally “meets,” greets and plays the one that takes his breath away. As Seymour Bernstein shares his philosophy about the role of music in his life and its transformative power in the broader universe, he also explores with Hawke the drawbacks of living one’s creative life in the spotlight, driven by the whims of the moment and the lure of fame and fortune. Hawke admits to his own struggles with fame, stage fright and the challenges he faces when he pursues less commercial, more creative avenues of his craft. Bernstein opted out of the performance circuit at age 50 to devote his precious time to composing and teaching. Ethan Hawke has definitely found the right teacher and friend in Seymour Bernstein. Seymour Bernstein performs for Ethan Hawke and friends in SEYMOUR: AN INTRODUCTION. Photo courtesy Ramsey Fendall. © Risk Love LLC. A Sundance Selects release. This entry was posted in Film and tagged Composers, Education, Ethan Hawke, Mentors, Music, Music and Musicians, Music Education, Pianists, Seymour Bernstein, Seymour: An Introduction. Bookmark the permalink. Thanks so much, Shirley! I’ll be sure to check out your blog coverage of Seymour! I would love to connect with him further as well since he really speaks to the creative process in all of the arts and the struggles we all face as writers, musicians, designers, etc. He has so much to teach us! Indeed, he does. And our pianist universe is filled with infinite connections to teachers and their teachers. It’s a very micro-cosmic music world with shrinking degrees of separation.